Google tests a new feature that replaces the snippets for Twitter account pages with the most recent message and a small thumbnail. 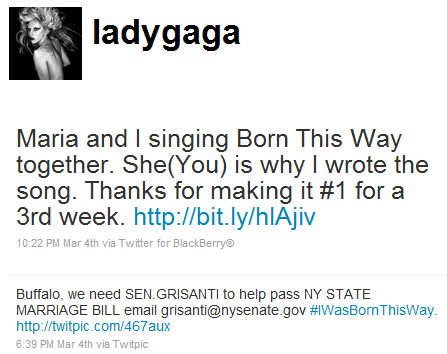 For some reason, Google doesn't show the most recent tweet from Lady Gaga despite being sent three days ago. With the advent of rich snippets, Plus Boxes and real-time information that enhances snippets, Google tries to show even more useful information to help you decide if a result is relevant and to quickly answer the most obvious questions.